More than ever, businesses can harness the power of data to connect with each customer throughout the entire customer lifecycle. It’s just a matter of leveraging the right technology to help you get there. Keep reading to find out how on-premise legacy solutions are holding you back and why now’s the right time to move to the cloud. 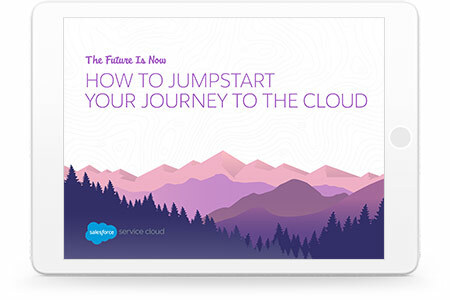 Download this free e-book today to find out how on-premise legacy solutions are holding you back and why now’s the right time to move to the cloud.